Delcia Lopez | dlopez@themonitor.com Balloons fill the sky during the 2017 McAllen Holiday Parade at McAllen Veterans Memorial Stadium in McAllen. 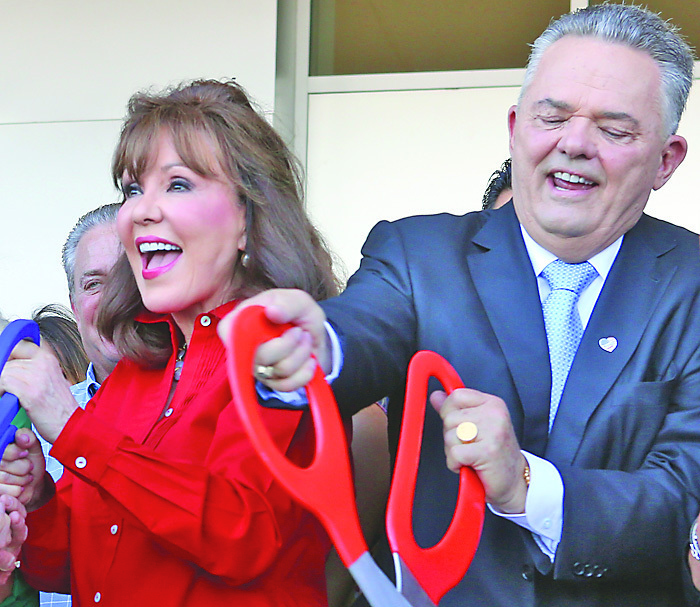 Robert and Janet Vackar, owners of Bert Ogden Dealerships, were named the grand marshals of the McAllen Holiday Parade at a press conference Tuesday morning. The Vackars were unable to attend the conference and were represented by their spokesperson, Marsha Greene, who announced that the couple will be leading the parade, but riding in two separate floats. The parade will be powered by 12,000-horsepower-worth of Bert Ogden vehicles. Reliant Energy, one of the parade’s sponsors, will be lighting the 64-foot tree, which the city claims is the largest Christmas tree in South Texas. The tree will be set up and lit on Monday, Nov. 26, at the McAllen Convention Center and will remain there until Jan. 6, 2019. The lighting ceremony is scheduled at 6 p.m. and will feature food vendors and other family friendly activities, city officials announced. Joel Martinez | jmartinez@themonitor.com Janet Vackar, left, and Robert Vackar are seen at an Aug. 27 event. 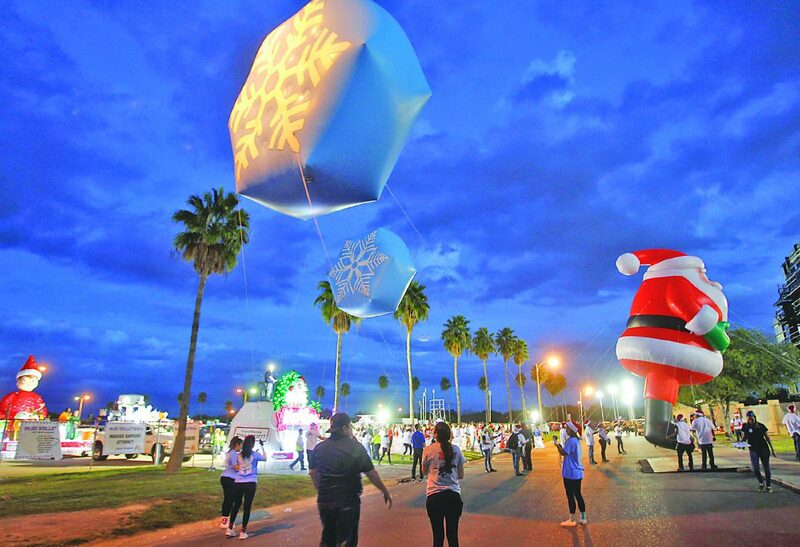 They have been named grand marshalls for this year's McAllen Holiday Parade. Additionally, representatives from Telemundo 40 announced that actors Carmen Aub and Ivan Arana will be in attendance. Ana Maria Polo, who appears in the show Caso Cerrado, will not be attending despite making appearances in previous parades. Earlier this month the city announced that this year, Cowboys linebacker Jaylon Smith and his brother, running back Rod Smith, will be in attendance. Former Cowboys tight end Jay Novacek and former receiver Tony Hill will also be on hand. The parade, presented by H-E-B, features 55 lighted and animated floats, 39 large inflatable character balloons, 14 marching bands and a celebrity filled line-up. The parade makes its way down the 1.5 mile parade route on Bicentennial Boulevard, where free seating is also available. According to the city, the parade is the largest illuminated holiday and helium balloon parade in Texas and uses 15 miles of rope light, which generates 1,875,000 lumens. Additionally, 44,500 cubic feet of helium will be used to keep the giant balloons afloat. The parade is scheduled for Saturday, Dec. 1, and starts at the McAllen Veterans Memorial Stadium at 1921 Bicentennial Blvd.